Paul Blake Ozbun maintains a general law practice, primarily focusing on estate planning, transactional drafting, real estate law, and business litigation. Paul is licensed in Missouri State Court and Missouri Federal Court for the Eastern District. Paul received his Bachelor of Science in Business Administration from the University of Missouri, Columbia, in 2015. 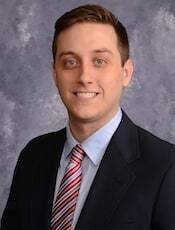 Paul went on to obtain his law degree from St. Louis University in 2018, where he served as a student attorney in the civil advocacy clinic as well as the entrepreneurship and community development clinic. For his hard work and excellence in the SLU Legal Clinics, Paul was recognized as a David Grant Clinic Student Award Finalist. Paul was born and raised in Cape Girardeau, MO, and graduated from Cape Central High School in 2011. Paul is engaged to Ashten Hesselrode, a Cape Girardeau native, who he will marry in the Fall of 2019.